You need! 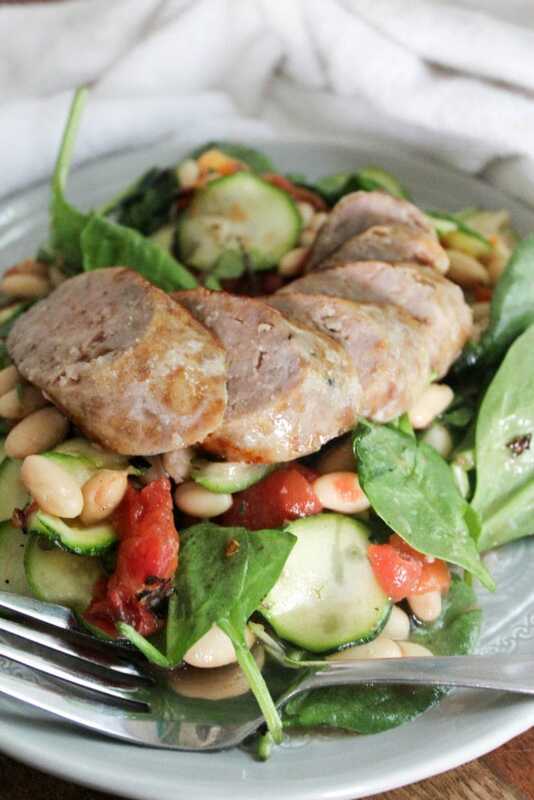 White beans, canned fire-roasted tomatoes, a zucchini, fresh spinach, and a piece of sausage. 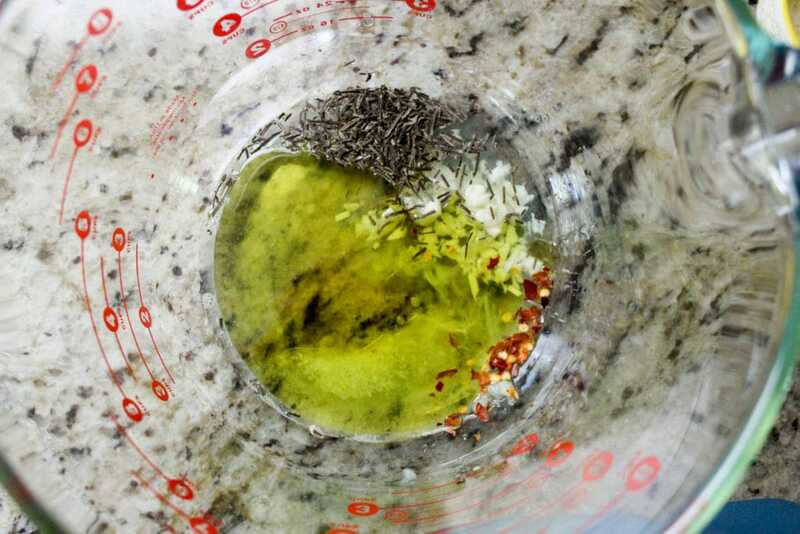 Then the dressing is made from olive oil, lemon juice, garlic, red pepper flakes, and salt. 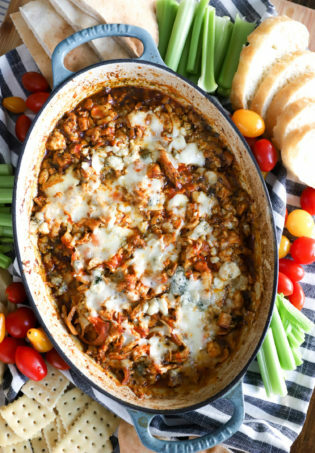 Not a ton of ingredients, but all of them have wonderful flavors that go to well so nicely. First, make the dressing. 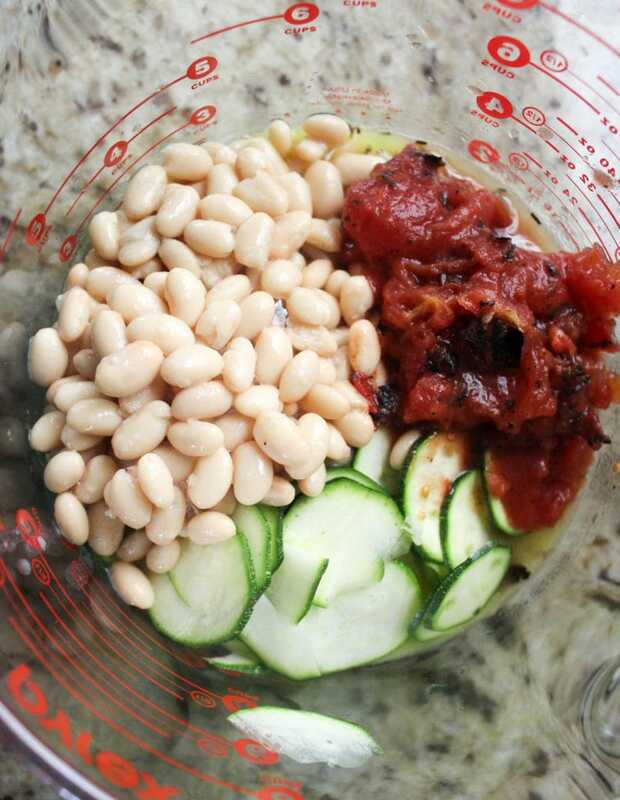 All ingredients go into a large bowl: large enough to marinate the beans in. 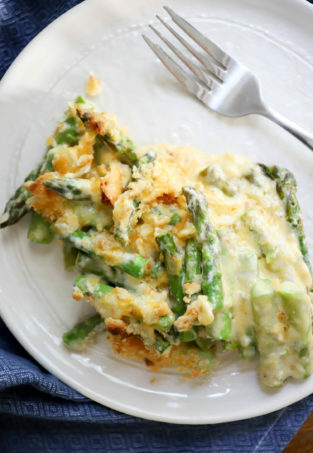 Whisk the dressing together and taste it, it should be really flavorful. Add a few extra pinches of salt and some more crushed red pepper, probably. 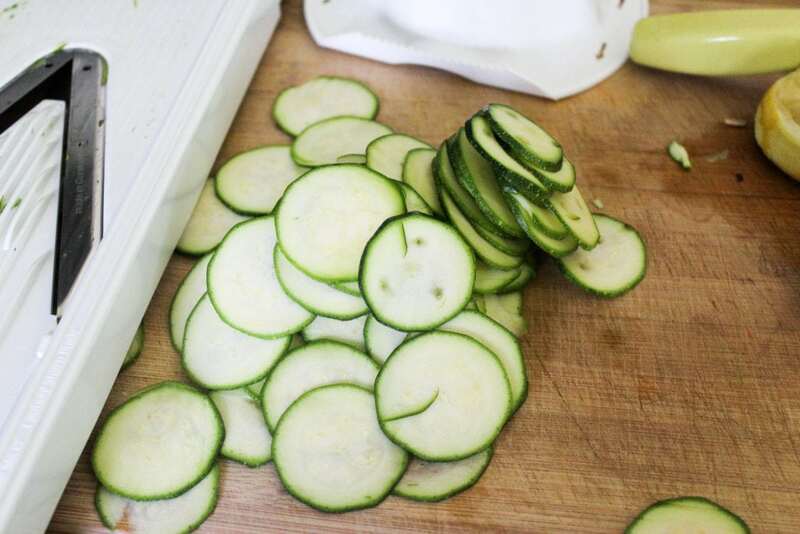 Next, thinly slice the zucchini on a mandoline, if you have one. You can of course slice it with a knife, but the marinade works a bit better with super thin slices of zucchini. 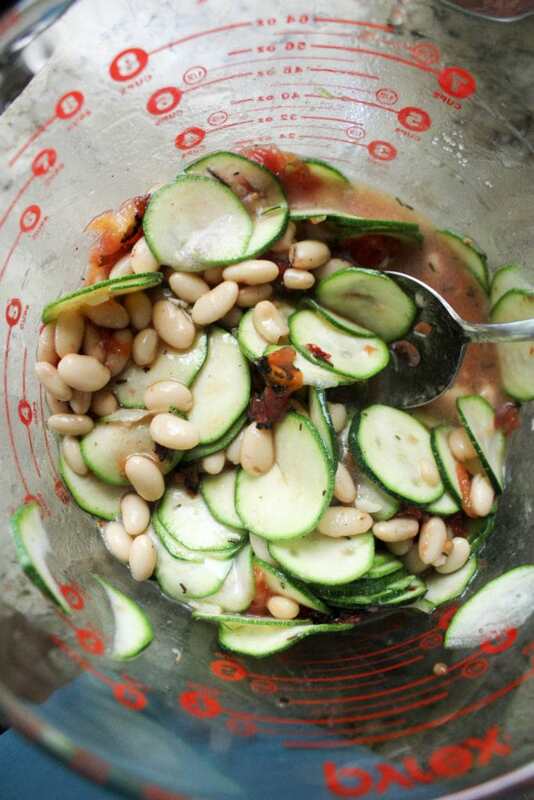 Drain the beans and add them with the zucchini slices and tomatoes straight to the dressing. I drain the tomatoes (save the juices for spaghetti!) and crush them with my hands into big chunks, maybe 3 or 4 pieces per tomato. Stir the salad together, and let it marinate for at least 45 minutes, maybe a tiny bit longer. 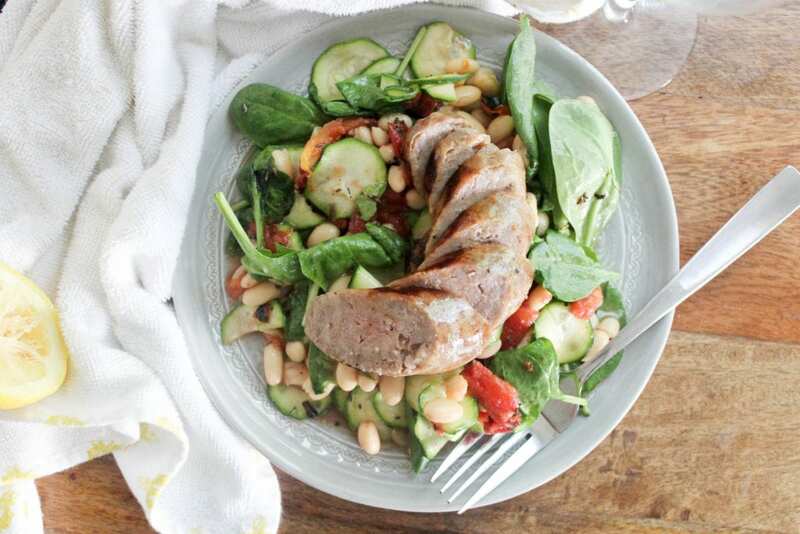 When you’re about ready to eat, cook the sausage (this will take 10 minutes or so). You can cook your sausage any way you’d like, but I cook it in a skillet half covered with water, over medium-high heat. I let the water come to a simmer with the sausage, and then flip the sausage when the water has reduced by half. When the water has evaporated completely, I cook the sausage for about 2 minutes more on each side to brown the outside. 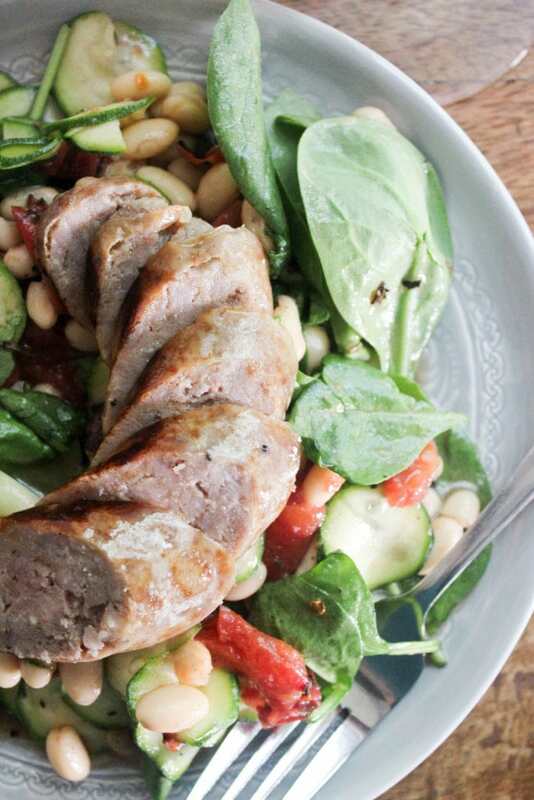 Take the sausage out of the skillet to rest, then slice it right before serving. 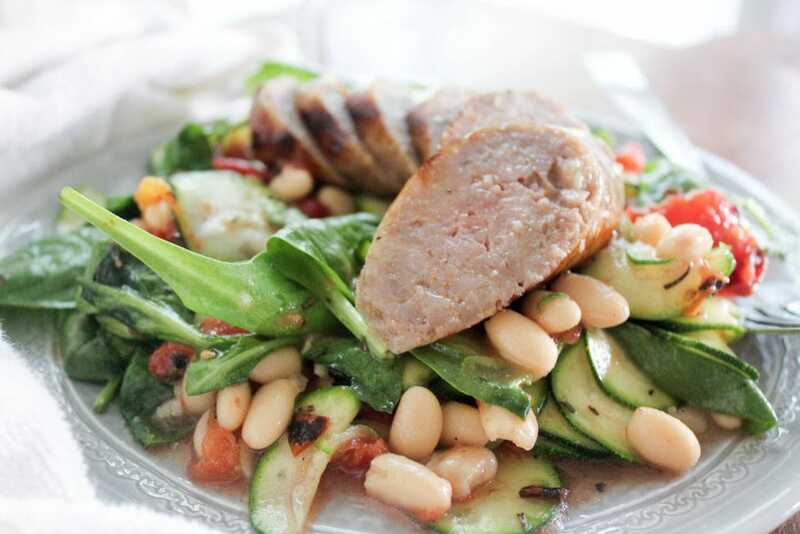 When the sausage is cooked, quickly toss the spinach into the bean mixture. Taste the salad, and add more salt or crushed red pepper if you like. Serve! A heap of marinated veg, topped with a little bit of sausage. 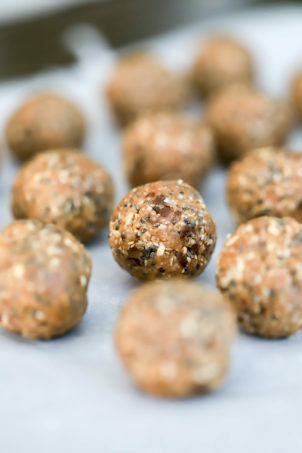 Extra protein from the beans, vitamins from the veggies, all of the stuff we need after a long weekend. I’m thinking garlic/rosemary/lemon should be the soundtrack to our summer, right? 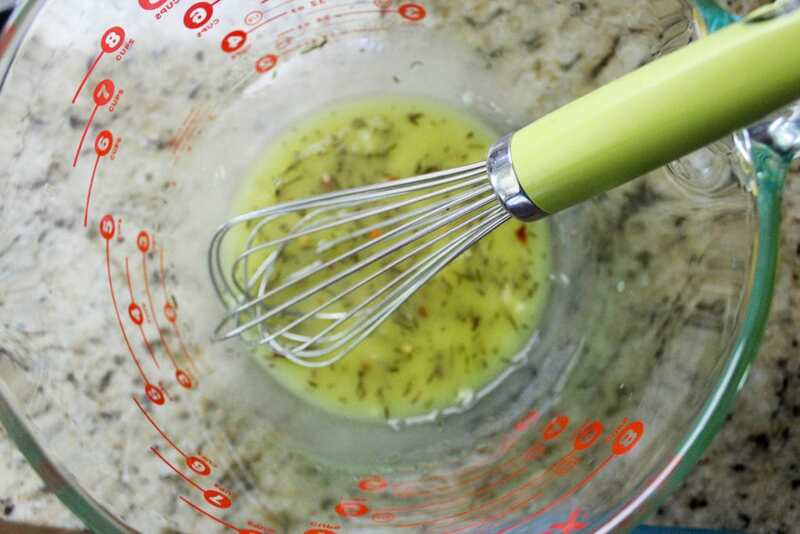 In a large bowl, whisk together the lemon juice, garlic, olive oil, rosemary, salt, and crushed red pepper. Taste the dressing and add more salt or crushed red pepper flakes to your preference. 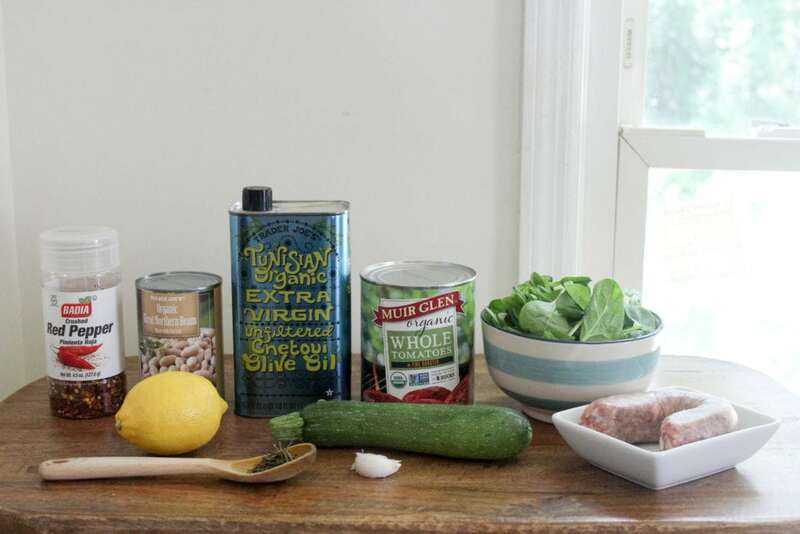 To the dressing, add the white beans, zucchini, and tomatoes. Stir gently and let marinate for 45 minutes. Before serving, cook the sausage. 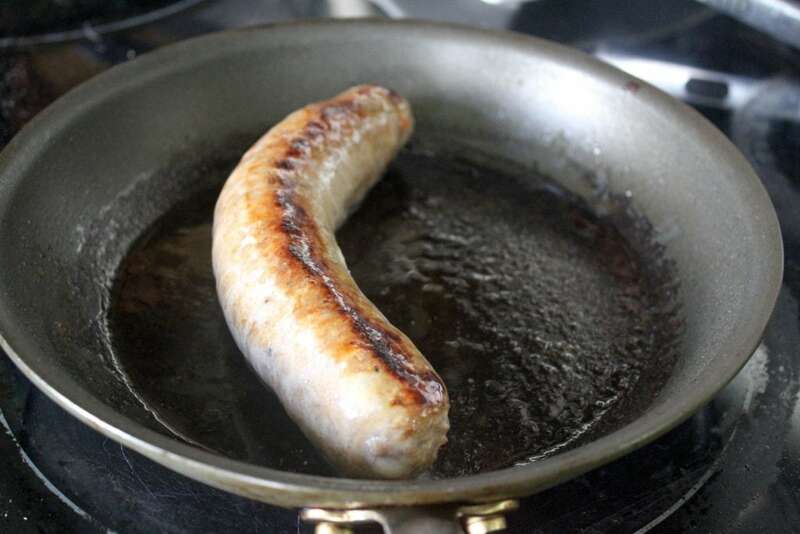 Place the sausage in a skillet and cover it halfway with water. 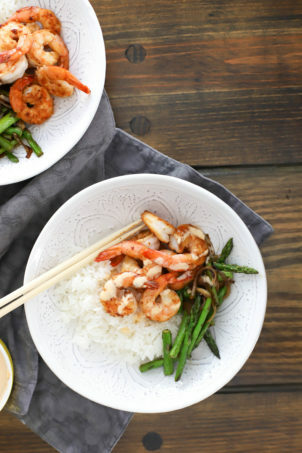 Bring the water to a simmer over medium high heat. 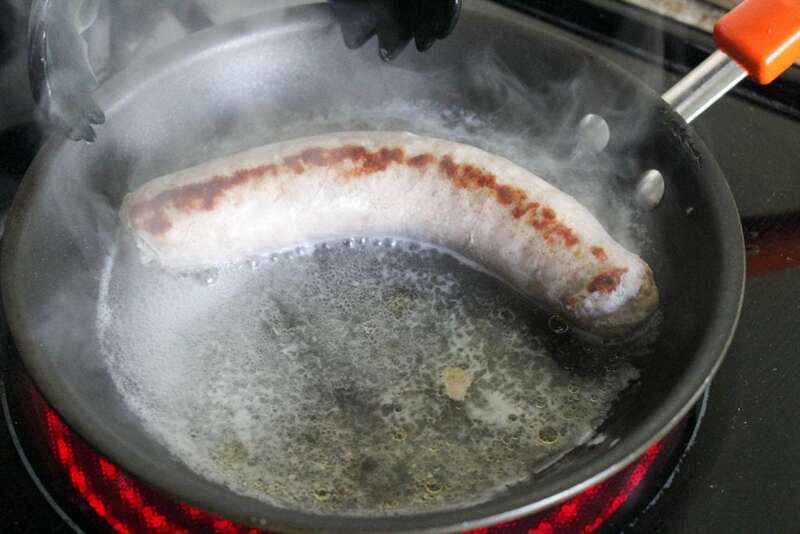 Flip the sausage when the water has evaporated by half. When the water has totally evaporated, cook the sausage for one or two minutes more on each side to brown the casing. Let the sausage rest for 5 minutes then slice into pieces. 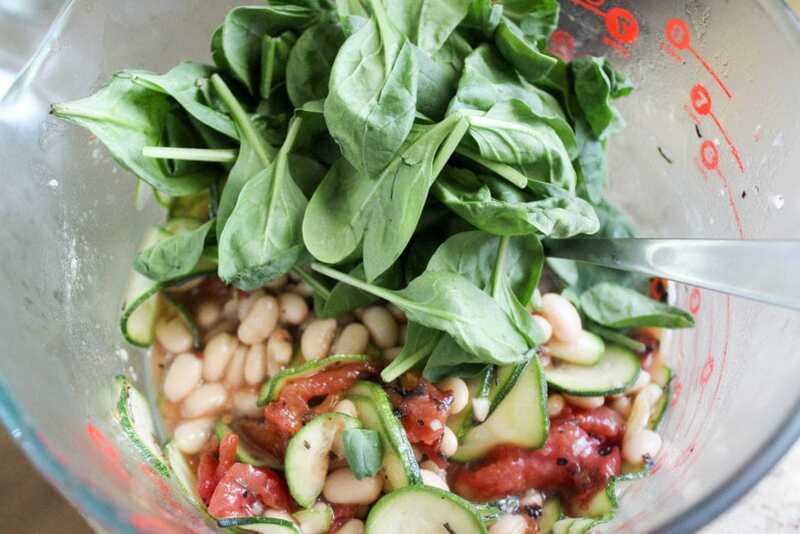 Right before serving, toss the baby spinach with the bean mixture. Taste the salad once more and season additionally if desired. 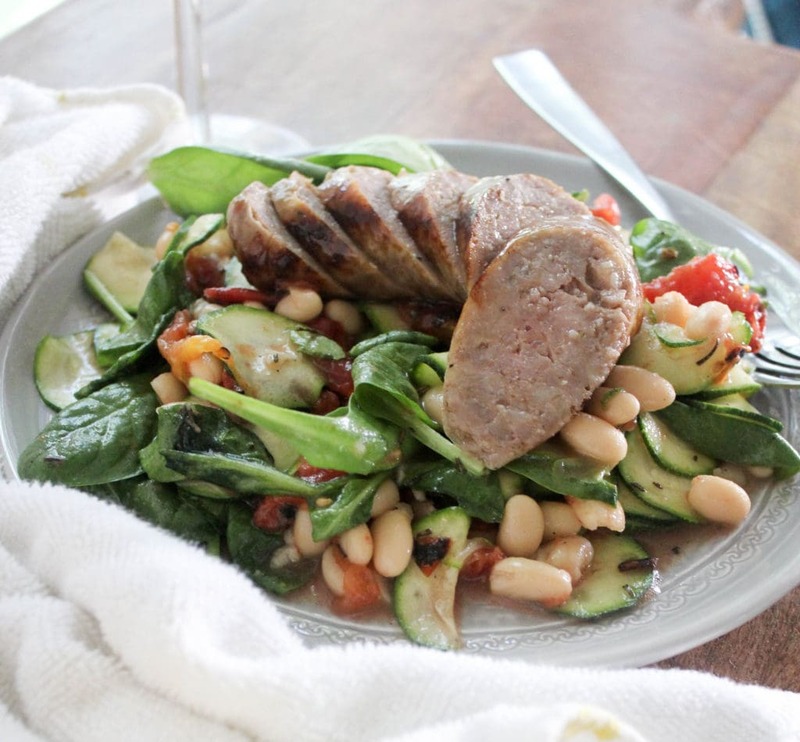 Serve the bean salad topped with sliced sausage. Enjoy!